SERVING Belle Plaine, Bloomington, Chanhassen, Chaska, Deephaven, Eden Prairie, Edina, Excelsior, Minnetonka, Minnetrista, Montrose, Orono, Shakopee, Shorewood, St. Bonifacius, Tonka Bay, Victoria, Waconia, Watertown, Wayzata, and the Western Suburbs. 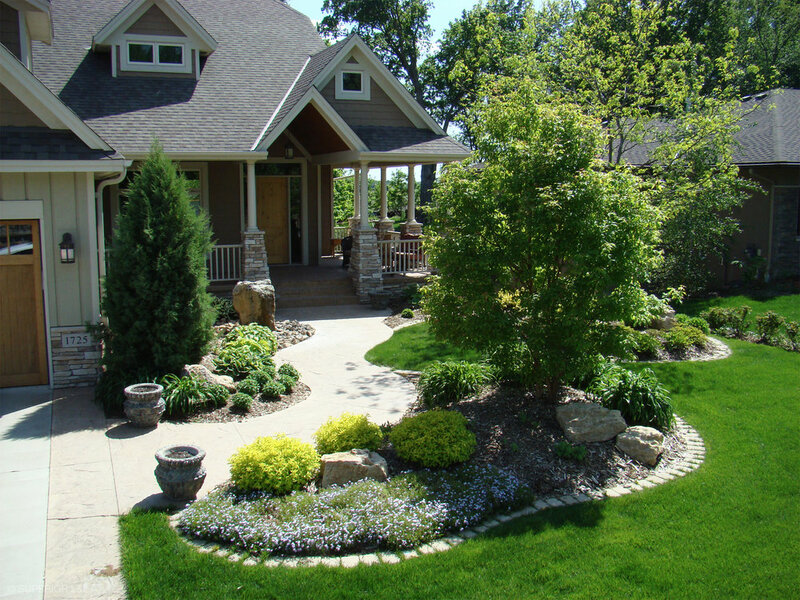 Superior Lawn & Landscape is committed to bringing you the best possible experience and value in landscape design and installation. Superior service leads to superior results. 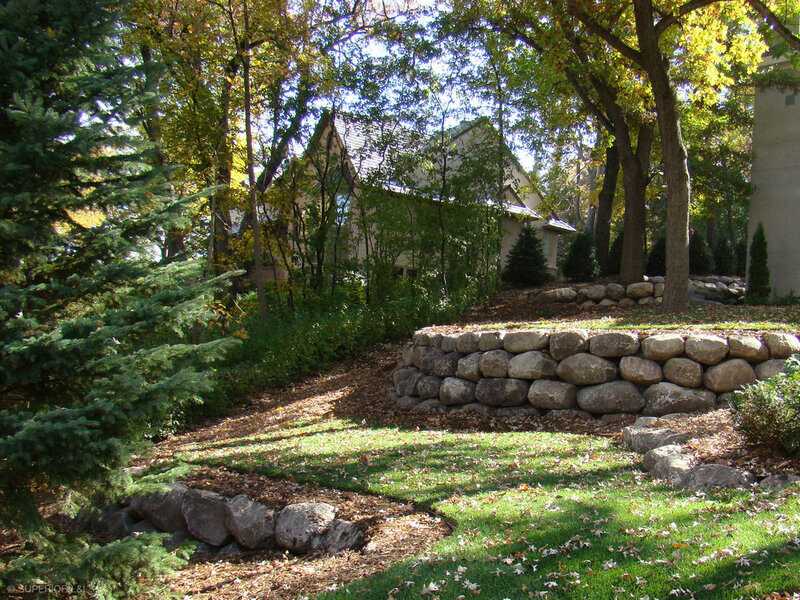 First, our MNLA certified designers listen attentively to your needs and ideas, then utilize their professional knowledge and design skills to incorporate your desires into a landscape plan. 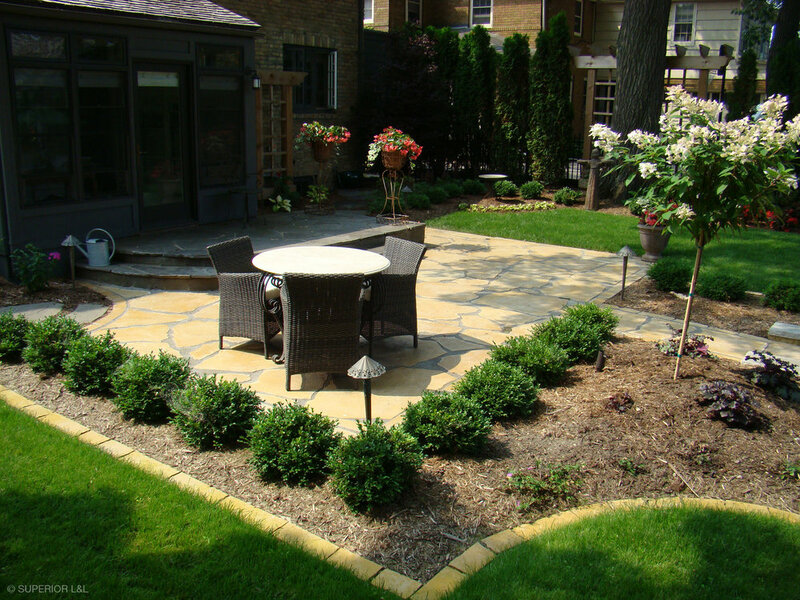 Next, a MNLA certified foreman oversees close communication with you as locally grown plants and only top quality landscape materials from local providers are professionally installed. Finally, we make sure that you are delighted with the completed project. Our staff is always available for questions and maintenance. At Superior, we pride ourselves on our decades of long-term relationships. Sometimes the best seat in the house is outside. We turn your outdoor spaces into livable places: sustainable landscapes, designed to last for years with minimal attention. Even the simplest design can increase the value of your home and quality of life. 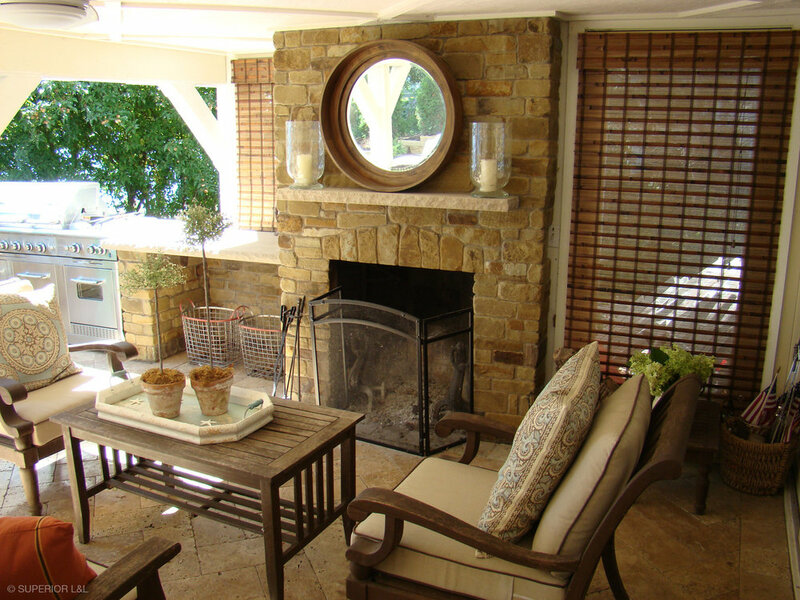 We help create an outdoor living area in your yard that is a safe, gathering space for family and friends. 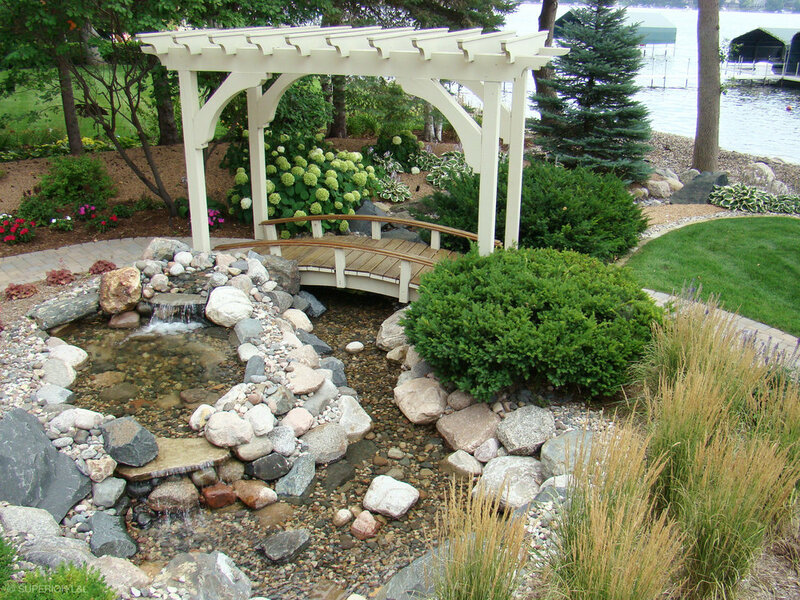 Enhancing the outdoors with patios, fire pits, barbeques, ponds or waterfalls is pleasing to the eye and relaxing to the soul. It also encourages family members to connect as they enjoy conversation, recreation and shared meals. Even the smallest project can improve the value of your property. Even the plainest yard can be turned into something fun and exciting. Here is some of our work over the years. Warm firepits, shaded seatwalls, winding pathways, outdoor kitchens, and the rest create inviting backyard retreats that bring friends and family together. 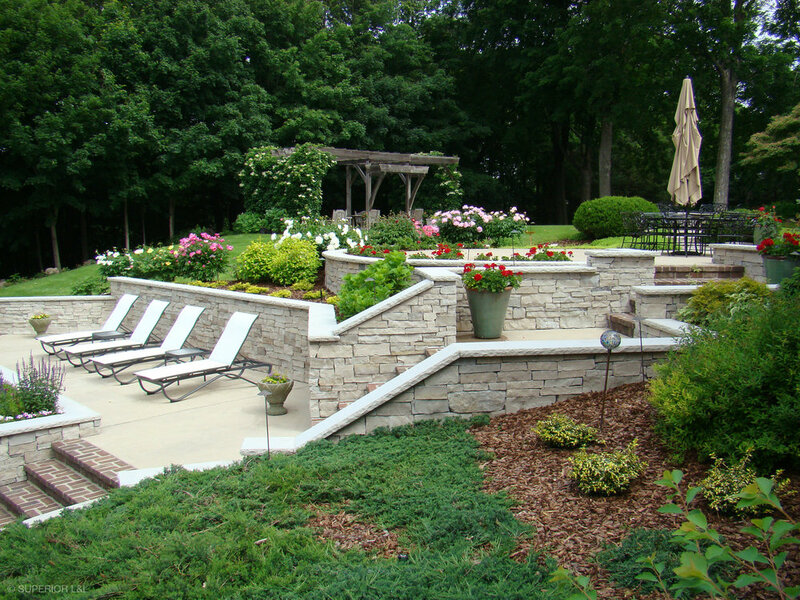 We turn plain every day yards into one-of-a-kind dynamic outdoor living spaces. The ‘face’ of your home is what you and everyone sees every day. 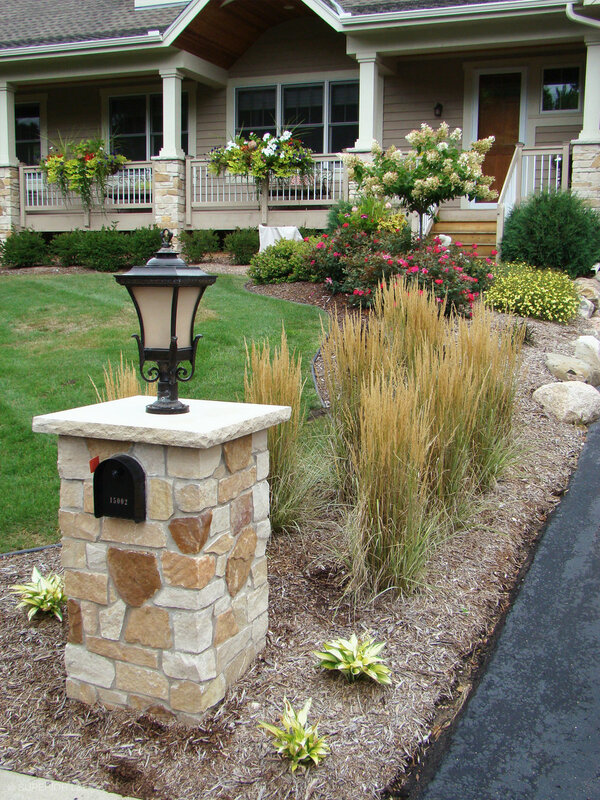 Showcase the best your home has to offer with increased curb appeal, function, and beauty. 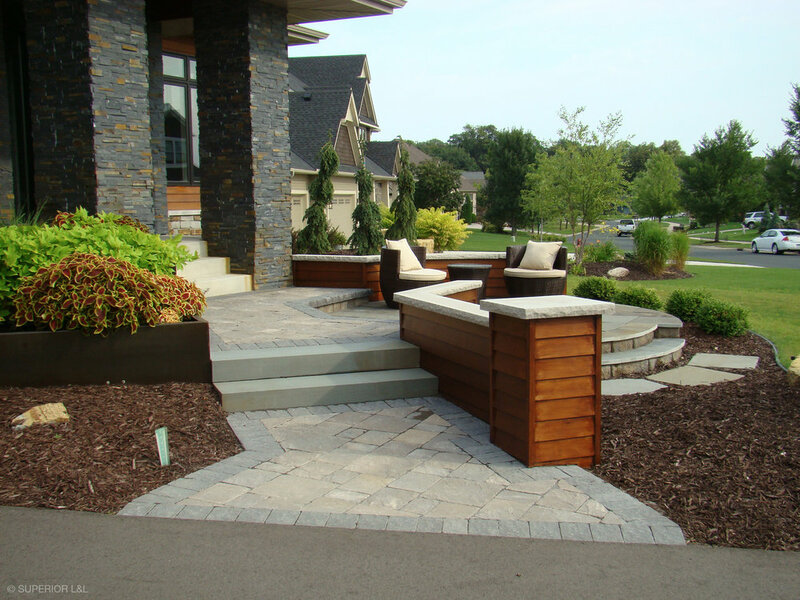 Stop erosion and add workable yard space with attractive, durable walls made of timber, boulder, natural stone, or segmented block. Visual appeal plus functional practicality equals increased home value. 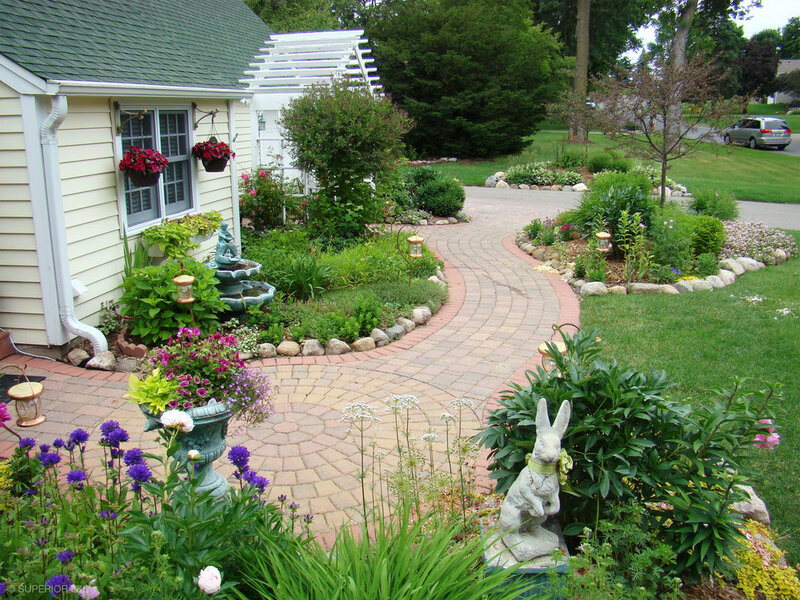 Turn that plain driveway into a crafted showpiece. Turn boring ‘whatever’ into a big ‘wow,’ making something fun and special for your family and neighborhood to enjoy for decades. 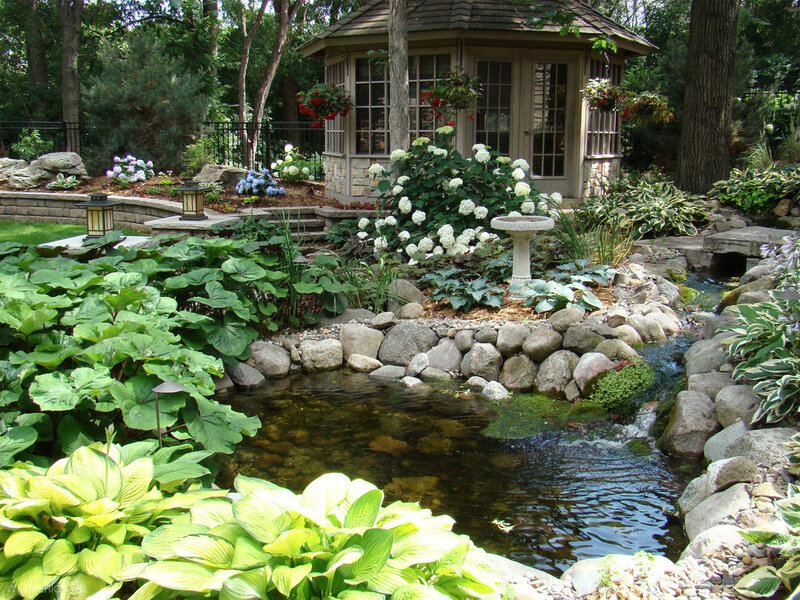 There’s nothing like a calming pond or babbling miniature creek to make your yard even more inviting and cozy. Custom designs that fit perfectly into the unique character of your home make warm, lifetime memories.